Nell has been cooking southern food since 'way back'. 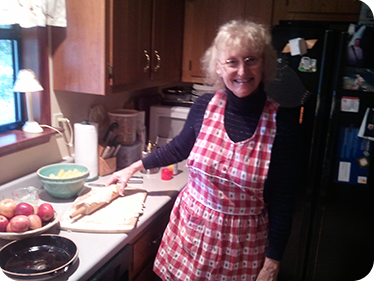 In addition to perfecting family recipes over the years, she has a bachelors degree in home economics. This site offers cooking tips and recipess from the various southern traditions that she has encountered. Her culinary skills have been enhanced by formative years on an Appalachian farm,world travel and from just being a mother who truly enjoys cooking. Cream together with a pinch of powdered tenderness and very lightly beaten in bowl of loyalty. Be sure to add a spoonful of gaiety that sings and also the ability to laugh at little things. Moisten with the sudden tears of heartfelt sympathy.